Brothers from Elvin E. Helms No. 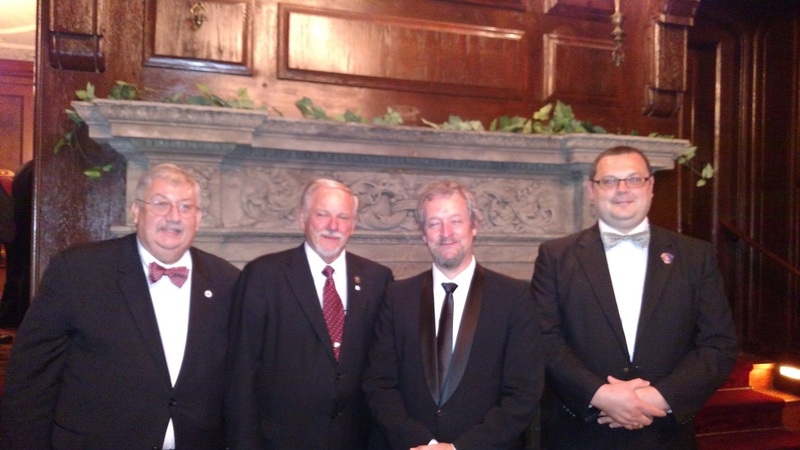 926 traveled to Lexington, KY to enjoy an evening hosted by the Rubicon Masonic Dinner Club at Spindletop Hall. The topic for the evening was the Apron, how it has evolved over the years, and why. Worshipful Brother Patrick Craddock, visiting from Franklin, TN, was the presenter. He gave a very informative and interactive presentation. As usual, the RMDC put together a great evening all in attendance were glad to be part of. Pictured above, left to right: Dan Kemble, P.M.; Ed Tanner, P.M.; Patrick Craddock, P.M.; and Adam Gross, Junior Deacon. Three Brothers from Elvin E. Helms No. 926 braved the harrowing Lewis County weather to visit St. Marys No. 240 in Tollesboro where we were welcomed with the usual Masonic hospitality. 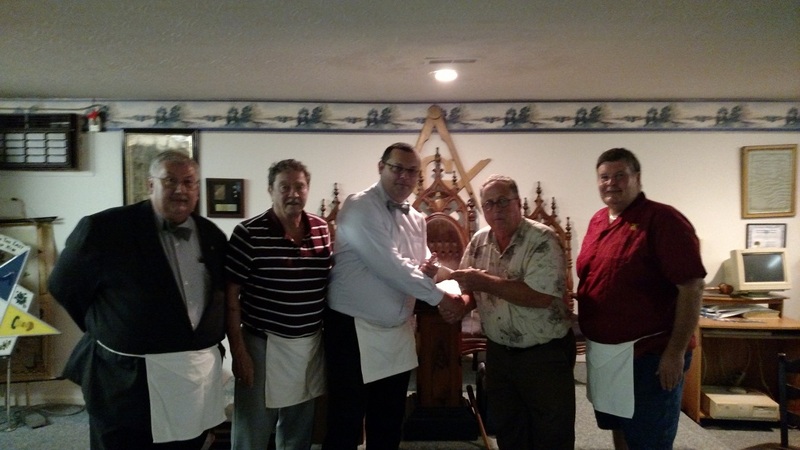 St. Marys just so happened to be in possession of the Valley of Covington Scottish Rite District 19 traveling gavel, which we promptly claimed. If you would like to claim this gavel for your own Lodge, it will be available during our August 11th meeting. We look forward to seeing you then! We serve a meal at 6:30pm and open Lodge at 7:30pm. Pictured above, left to right: Dan Kemble, P.M., No. 926; Buddy Wallace, P.M., Senior Deacon, No. 926; Adam Gross, Junior Deacon, No. 926; Donald Bradford, Master, No. 240; Keith Lewis, Secretary, No. 240.